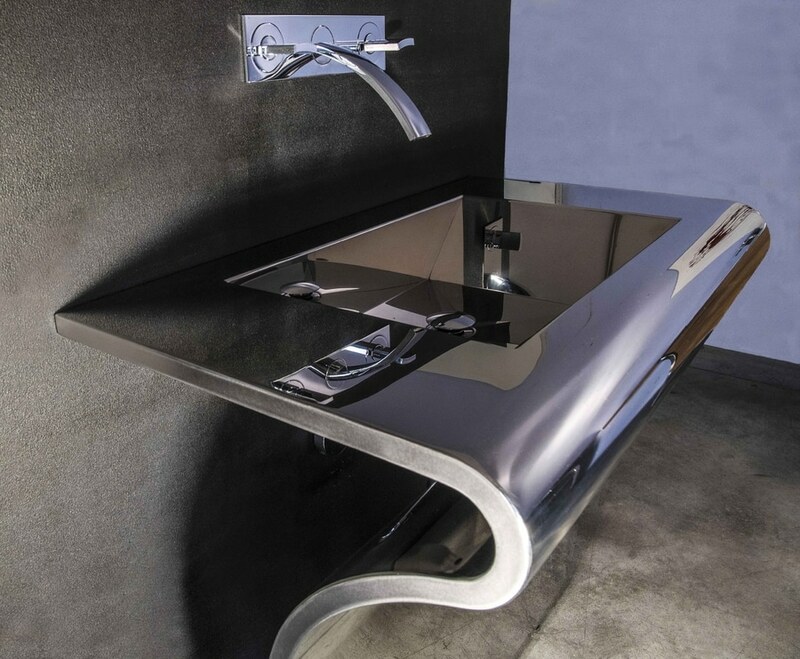 The thin thickness of 2,5 CM exalts even more soft contour of design and the lightness of the shapes of this model. 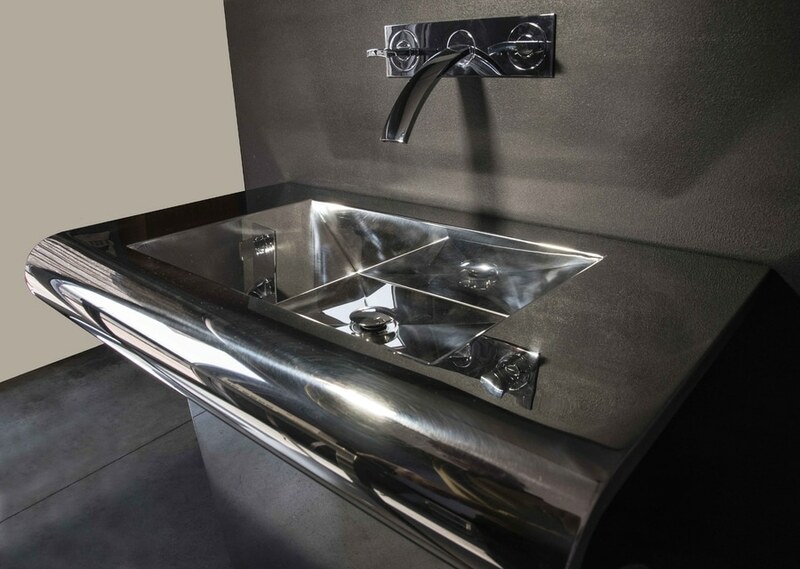 The surface of the steel AISI 304 in GLOSSY finish highlights the high quality of the finishing. 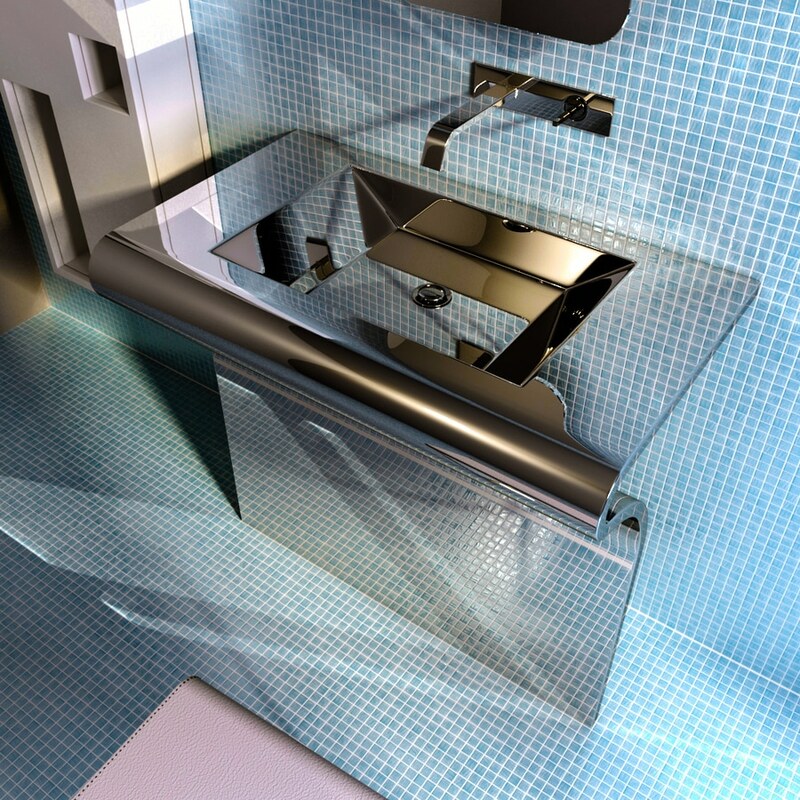 Once again COMPONENDO is able to offer high quality products with an exclusive design. 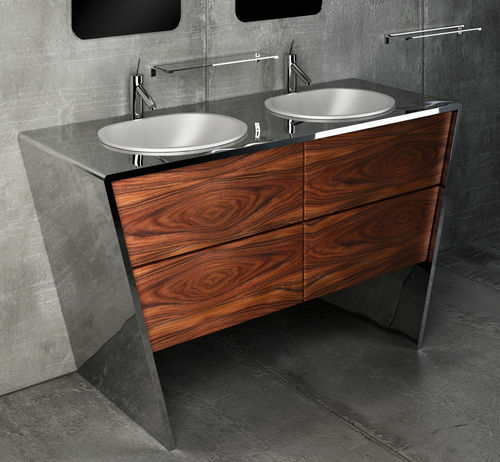 Even this model, like all other bathroom range, is customizable in the sizes. 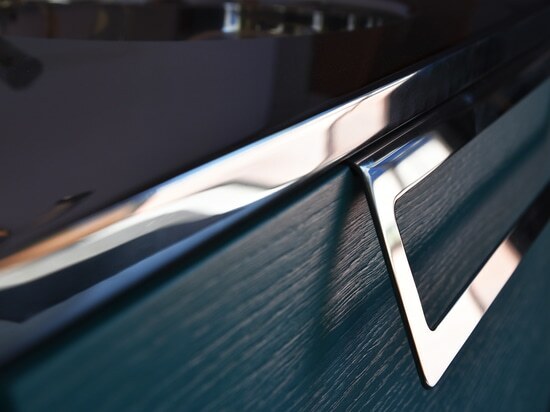 Steel glossy finish combined with the warmth of wood, here with Rosewood Santos. 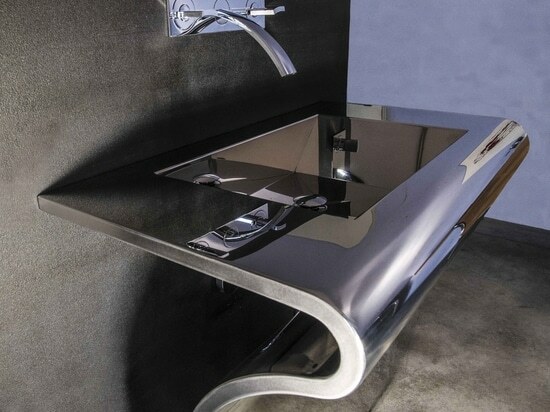 Elegant bath console that combines beauty and practicality. 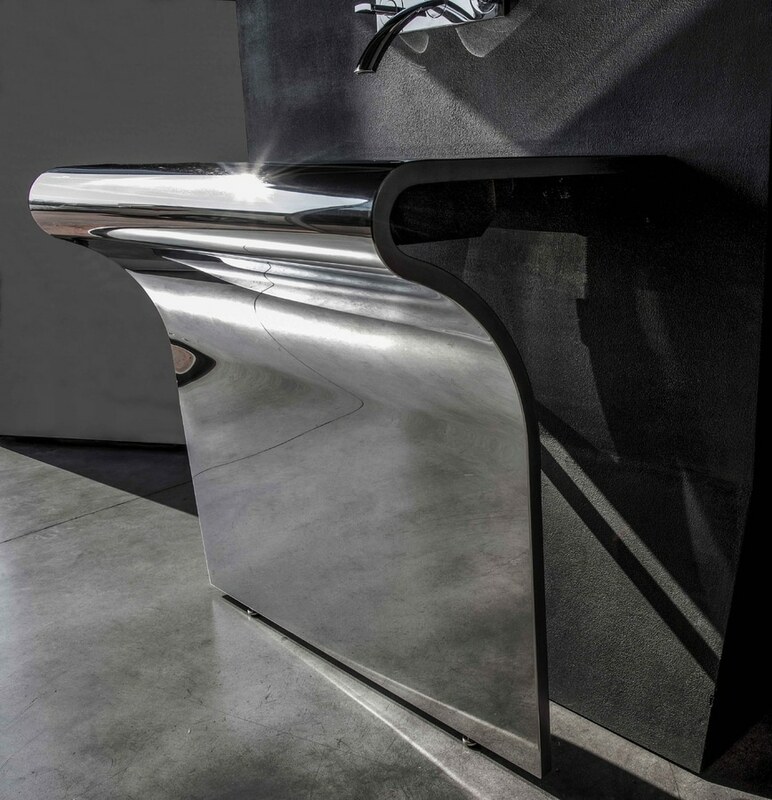 The surface of the steel is polished entirely by hand and protected with treatment antitouch. 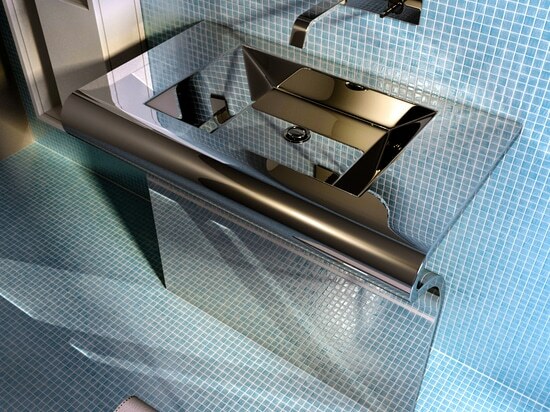 Even this model, like all other bathroom range, is customizable in the sizes. 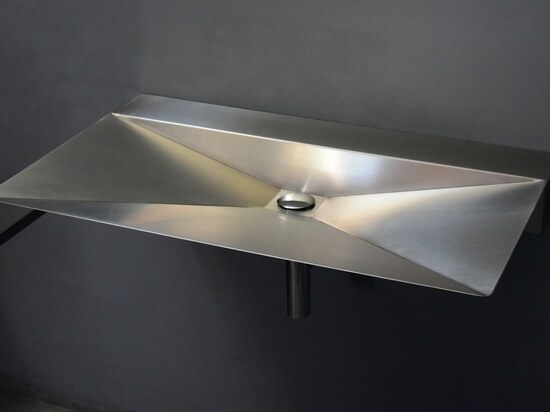 Drain free, just a thin slit to drain the water. It can be supplied up to a length of 260 cm. Customizable. Support shelves in stainless steel 3 mm thick. for maximum safety even in public places. 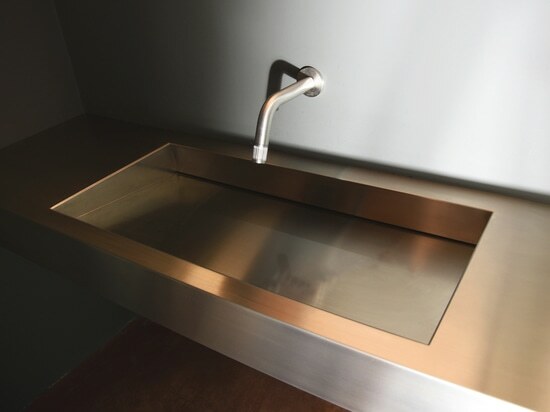 Sink stainless steel brushed MINIMAL. Simplicity and lightness. 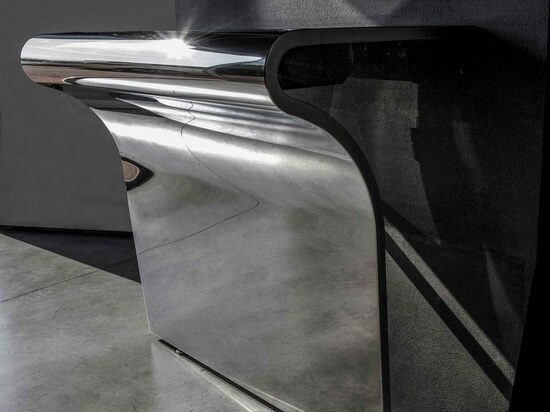 The surface of the steel is brushed entirely by hand and protected with TREATMENT ANTITOUCH. Towel bar integrated. Even this model, like all other furniture range, is customizable in the sizes. Stainless steel brushholder to be recessed into the wall, pivoting. Entirely made of steel AISI 304. Plate at sight turnable - thickness steel 2 mm. The handle of the brush made in steel, bristles high resistance Brush, box and pivoting plate easily removable for easy cleaning. Easily to buylt in every wall: 84 mm installation depth.